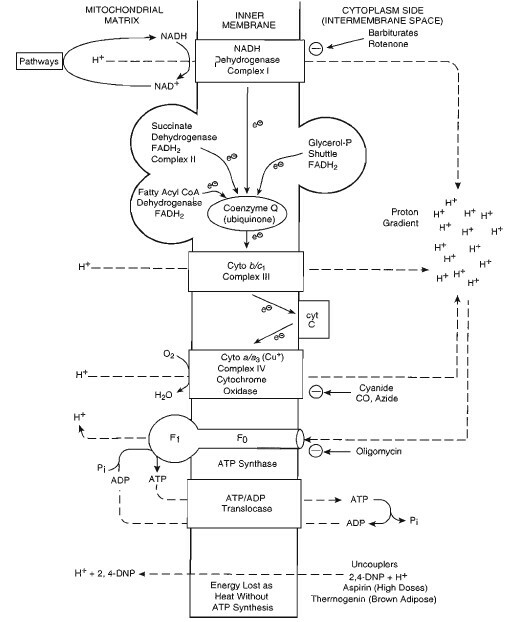 Binds irreversibly to cytochrome a/a3 (complex IV) preventing electron transfer to oxygen, producing many of the same changes seen in tissue hypoxia. Nitrites may be used as an antidote for cyanide poisoning if given rapidly. They convert hemoglobin to methemoglobin, which binds cyanide in the blood before reaching the tissues. Oxygen is also given if possible.